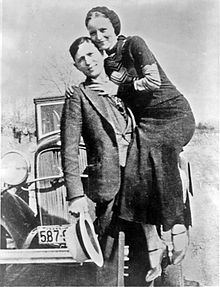 Clyde Barrow and his lover and partner-in-crime, Bonnie Parker, are infamous for their two-year spree which ran across the central United States and started in 1932. That ‘spree’ included at least a dozen bank robberies and numerous raids on small stores and rural gas stations. Bonnie, Clyde and their gang are believed to have killed at least nine police officers and several civilians during this period. 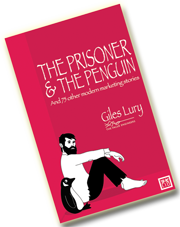 During 1932, 1933 and the early part of 1934, they evaded capture and many people believe that two of the reasons for their continued ‘freedom’ were Clyde’s skill as a driver and the cars he drove. Clyde’s car of choice was the Ford V-8. It offered both the speed and comfort they wanted. The V-8’s over-head valve engine helped Clyde out-manoeuvre and out-run many of the less powerful police cars that attempted to follow him. Additionally, living a life on the run meant that Clyde and Bonnie spent days and even weeks at a time in their car, often sleeping in them at night so the extra comfort was equally appreciated. Just over a month later, on May 23th, the notorious couple were ambushed by State troopers and local police at Bienville Parish, Louisiana and died in a hail of over 100 bullets. The car they were driving was a stolen Ford V8. The letter is on display at the Henry Ford Museum in Dearborn, Michigan.